Manassas, VA– John R. Bolton, former U.S. Ambassador to the United Nations, is scheduled to speak on Monday, February 23, 2015, at a special event during the NRB 2015 International Christian Media Convention in Nashville, TN. The International Christian Prayer and Action Event for Israel will be hosted by Proclaiming Justice to The Nations (PJTN) and will take place from 9:00 p.m. to 10:00 p.m. CT. Tickets to the event are available for purchase through PJTN (615-778-0202, candiceh@pjtn.org). From August 1, 2005, to December 9, 2006, Ambassador Bolton served as the United States Permanent Representative to the United Nations. From June 2001 to May 2005, he served as Under Secretary of State for Arms Control and International Security. 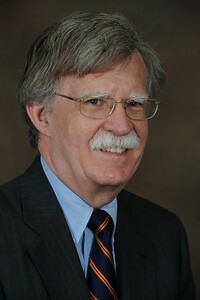 Currently, Ambassador Bolton serves as a Senior Fellow at the American Enterprise Institute. His area of research is U.S. foreign and national security policy. Ambassador Bolton is also an attorney. He was an associate at the Washington office of Covington & Burling, and then a member of the firm from 1983 to 1985 after public service at the U.S. Agency for International Development. He currently is Of Counsel to the law firm of Kirkland & Ellis.